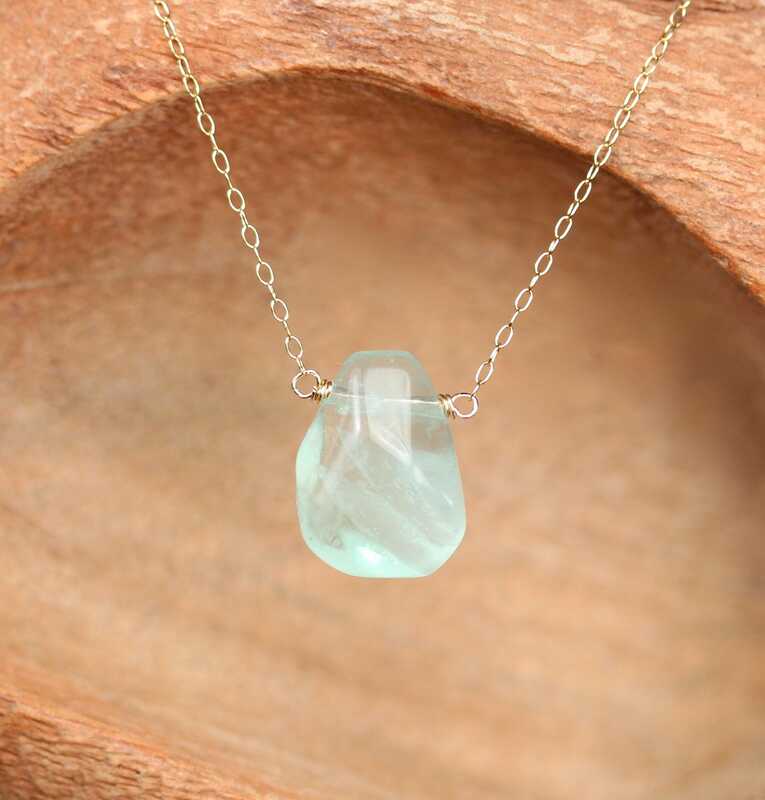 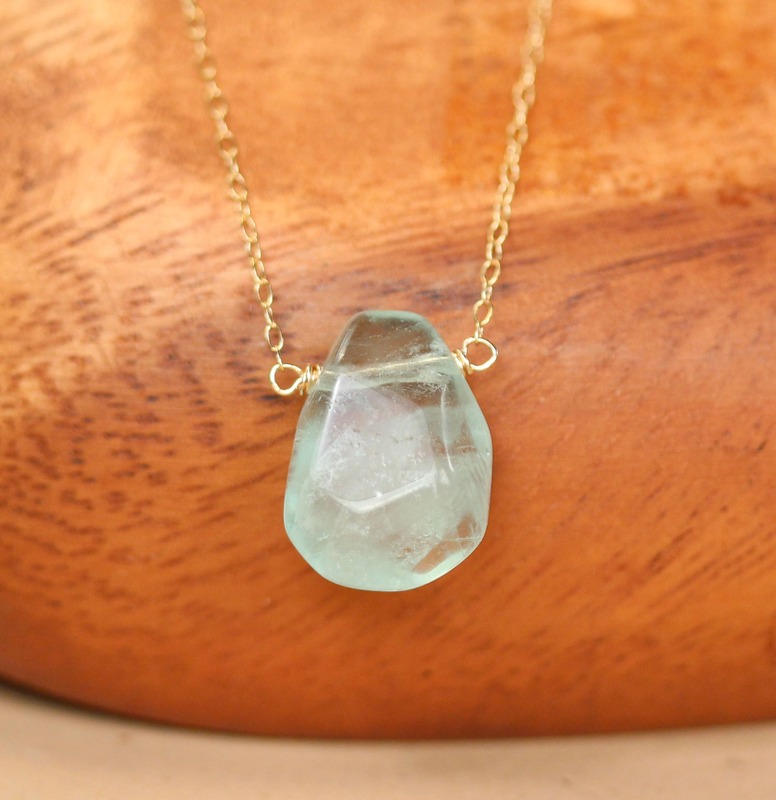 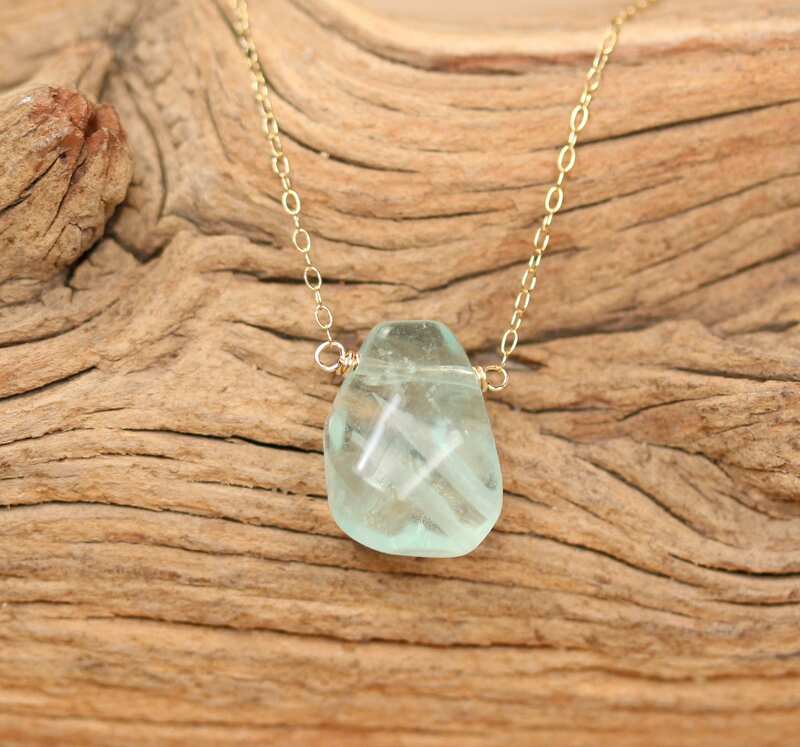 A one of a kind rainbow minty green fluorite of your choice wire wrapped onto a 14k gold filled or sterling silver chain at the length of your choice! . 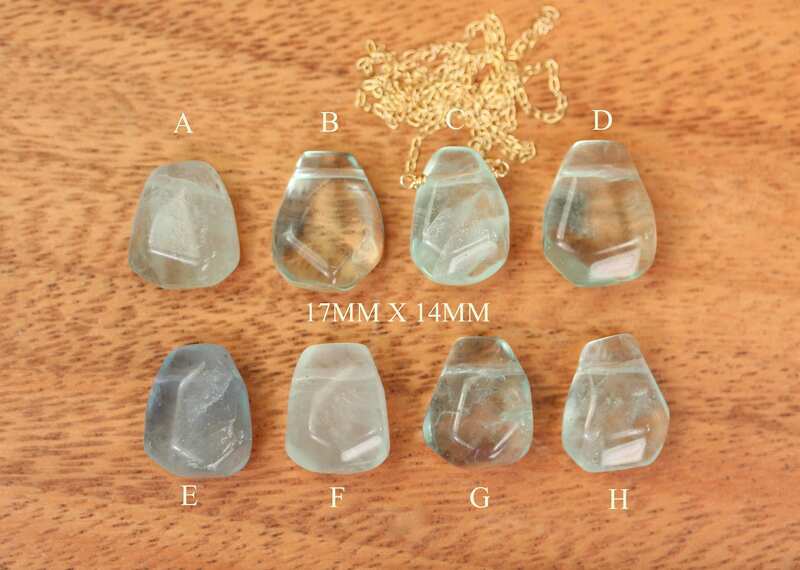 Please choose your favorite crystal as shown in the 4th photo. 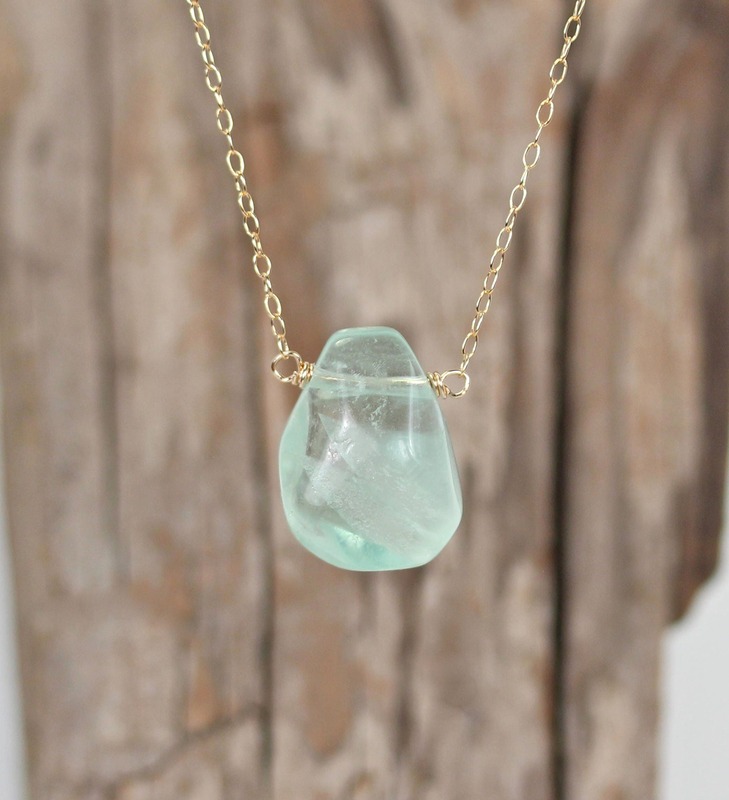 Need a few reasons to love fluorite other than for its beauty? 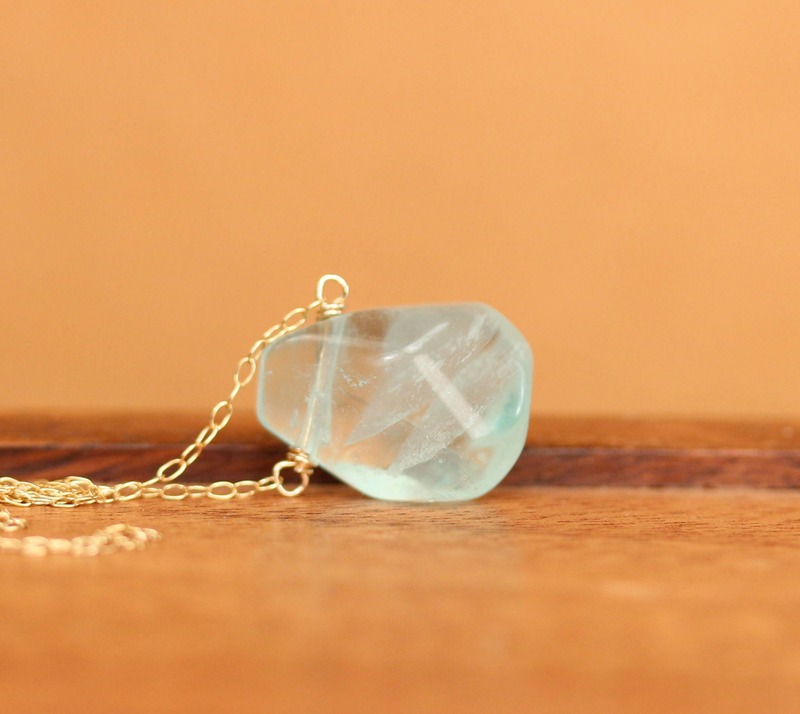 Typical colors - Colorless, white, purple, blue, blue-green, green, yellow, brownish-yellow, pink or red.